It has created a sensation across the world and now Museum of the Moon will shine in Life Science Centre in Newcastle from 2 February until 31 March 2019. 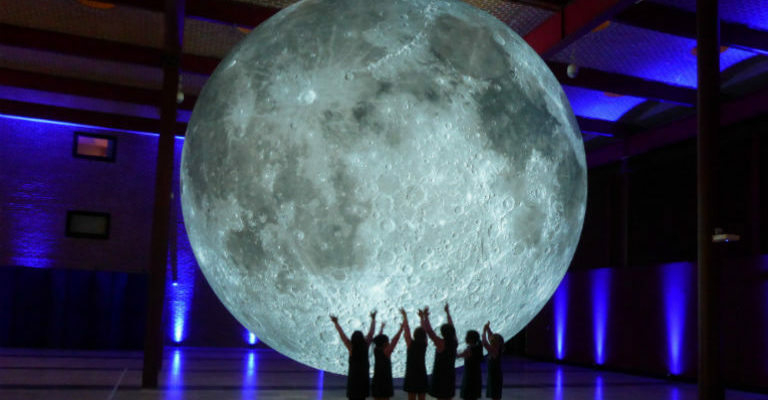 The seven-metre-wide spherical artwork, created by UK artist Luke Jerram, is suspended in the air and displays NASA imagery of the lunar surface. This allows visitors to explore the Moon’s surface in incredible detail – without ever stepping foot off the planet. Museum of the Moon is a touring artwork being presented worldwide at a number of arts and cultural festivals over the coming years. It has been presented at the Commonwealth Games in Australia, toured five cities of India with the British Council and been presented in Aarhus, Denmark, for the European Capital of Culture. Museum of the Moon is included with admission to Life Science Centre*. Visitors can also find out more about the Moon in the planetarium show Moonstruck, explore the world of sci-fi in the exhibition Alien Invasion and be entertained with the new show Kitchen Science in the Science Theatre. For a one-of-a-kind dining experience, why not dine by the Museum of the Moon on the night of the Supermoon on 21 March? At the Supermoon Supper**, swing singer Paul Skerritt will add to the romantic atmosphere with Moon-inspired music for an evening to remember.